Huntsville, AL – Arts Huntsville and Downtown Huntsville Inc. invite artists, lighting professionals, game designers, event producers, environmental design specialists, and makers of all backgrounds to submit proposals for the third annual LIT: Light + Innovation + Technology. This light and projection arts festival drew more than 3,000 attendees in its inaugural year and the event is poised to grow even more in its third return to the Downtown Huntsville Square on August 27, 2016. For one night annually, digital art projections, colorful light and environmental designs transform all four sides of the Downtown Square into a living work of art. This juried festival celebrates the uniqueness of Huntsville through the fusion of light, innovation and technology. On August 27, 2016 four artistic teams will showcase their projects and compete for the festival’s cash prizes. The selected artists will draw for the side of the square they will illuminate for the event; the four artistic teams selected through the RFP process will receive a cash prize following the event, with prizes awarded as follows: 1st place, $2500; 2nd place, $1000; 3rd place, $500 and 4th place, $500. We are looking for artists or artistic teams to submit a proposal describing the digital art installation, light installation or other illuminated environmental design they will create for one side of the square on August 27, 2016. We want to see how you will use downtown Huntsville as a canvas for color, light and more. Artists/artistic teams won’t know until they are chosen which side of the square will act as their canvas, therefore submissions should be adaptable to any side. (Artists/artistic teams will be assigned their installation area thru random drawing following the jury process. The previous winner will be able to select their side.) Content submitted should be acceptable for audiences of all ages. Artists will be responsible for providing their own equipment and for projecting their work from 8 p.m. to 10 p.m. on August 27, 2016. Artists must provide electrical needs and note if additional test time is needed. Set-up will begin at noon on August 26, 2016. All reasonable accommodations will be made for the selected artistic teams. All submissions received by June 30, 2016 will be reviewed anonymously by a jury. Submissions after the deadline will not be accepted. Artists will be notified via email of selection status by July 15, 2016. Testing will take place on August 26 from 8 p.m. to 10 p.m. On August 27, set-up will begin at noon. All artists/artistic teams must be completely installed at ready to go live at 5:30 p.m. on August 27, 2016. Cash prizes will be awarded within two weeks following the event. There is no application fee and artists retain complete ownership of their works. Please note that in submitting an entry, you agree to allow Arts Huntsville, Downtown Huntsville Inc. and/or its sponsoring partners and local media unrestricted use of your artwork (in part or in whole) for promotional purposes. Selected artists/artistic teams will be notified of their installation area on the Square (North/South/East/West) after the jury process is complete. Each artist/artistic team will be assigned a number and the selection committee will draw numbers to assign installation areas. Please note: Entries may include new or existing short digital videos or entirely new interactive work. Audio may be included as long as artist provides equipment. If audio is to be part of the proposal it must be submitted with the entry. Project Description detailing your planned digital projection, lighting installation or other illuminated environmental design encompassing one side of Huntsville’s downtown square. o Video files of past work may be submitted by email to amayfield@artshuntsville.org. Videos may also be uploaded to vimeo.com or YouTube with links emailed to the below address. Please contact Amy Mayfield at amayfield@artshuntsville.org with questions. Have you ever purchased a piece of art and didn’t know what to do with it? If you’ve always wanted to create a gallery wall in your home, or incorporate art throughout your home, this tour is for you. On January 30, join us for Arts Huntsville’s inaugural Art Tour of Homes. Five local art enthusiasts will open their home to inspire visitors to start or grow their collection of art. The Art Tour of Homes will take tour goers from Monte Sano to Twickenham, to the Medical District and Jones Valley. Attendees will be delighted by a variety of collections and décor styles. 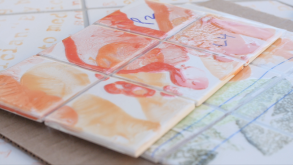 By showcasing how art is part of living spaces, Arts Huntsville hopes to create a greater understanding of how anyone at any price point can use art to enhance their environments. Each home and collection tells a story of its own and offers a glimpse at the pieces and artists your neighbors love. This will also serve as an opportunity to learn about the Huntsville area’s growing and thriving arts community. Tour attendees will also be provided with a list of local resources for starting or growing their art collections. The Art Tour of Homes will be held on January 30, 2016 from 10 a.m. to 3 p.m.
Tickets are $10 in advance or $15 at the homes on the day of the event. You can start the tour at any of the five homes. Advance tickets may be purchased at the Arts Huntsville offices at 700 Monroe St, Suite 2 by cash or check. For more information, call Arts Huntsville at 256-519-2787. Just as important as the thoughtful gifts we give to family and friends are the memories we make with them. 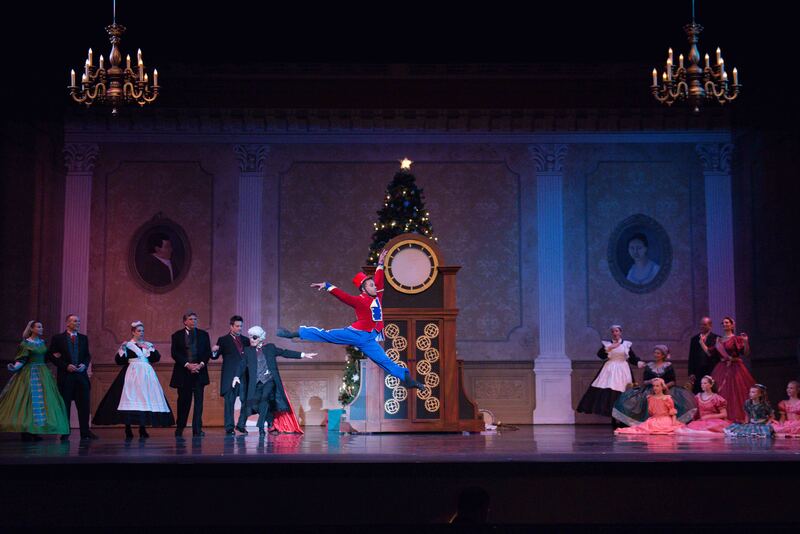 From ballet to theater, wildlife encounters and light displays, this Holiday Season you can experience the Joy of the Season through the arts, entertainment and cultural offerings of our member organizations. This holiday why not go a little wild? Get up close and personal with tigers, bears, and more at Tigers For Tomorrow. This non profit wild animal preserve and environmental education center, provides a permanent home to over 170 animals – mostly big cats, bears and wolves. They are located 1.5 hours from Huntsville, so turn that car ride into a Christmas song sing-a-long! Holiday Promotions: Tigers for Tomorrow is offering a 20% off gift coupon for a private tour of the preserve. This gift with special discount must be purchased by Dec 20th. Call 256-524-4150 & mention the word “Huntsville” to get this 20% discount off of private tour. 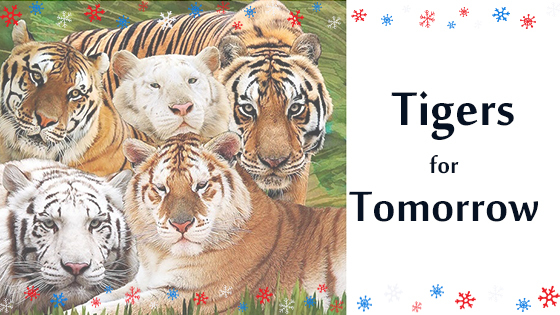 Tigers for Tomorrow will mail you the gift and all you have to do is reserve your private tour! Tigers for Tomorrow also has a gift shop with offerings perfect for the nature lover in your family! Ticket Price: Private tours without the discount are regularly $30 per person with a 4 person minimum or $120. Just like sparkling ornaments, candy canes, and snowmen are synonymous with Christmas, so is A Christmas Carol. 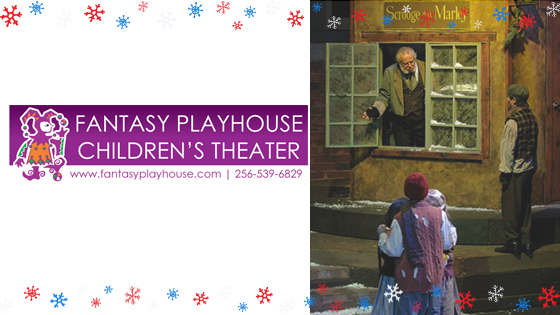 In this musical retelling of Charles Dickens’ classic novel, Fantasy Playhouse Children’s Theater will take you on a journey with Scrooge as he visits his past, present, and future on Christmas Eve. This production has become a family tradition for many in the Tennessee Valley for the past 26 years. Performances start on December 4th and run through December 13th. Holiday Promotions: Pick up a copy of the Huntsville/Madison County Visitors Bureau Holiday Magic Coupon for a discount on tickets to the show! Click here for more info on the CVB Holiday Magic Coupon or click here for tickets. 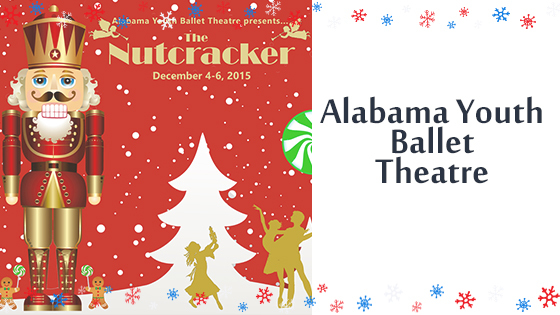 Alabama Youth Ballet Theatre is taking their performance of this holiday staple to the Lee High School stage on December 4th – 6th. The Nutcracker Ballet is based on the story “The Nutcracker and the King of Mice” written by E.T.A. Hoffman. Join AYBT as they tell the story of a young German girl who dreams of a Nutcracker Prince and a fierce battle against a Mouse King with seven heads. Get your tickets online by clicking here, in the studio office, and at the door prior to shows. Tickets purchased online will be available for pick up at Will Call. The box office opens 45 minutes prior to shows. Theater doors open 30 minutes prior to shows. All tickets are general admission. The Huntsville Iceplex is a 501 (C) 3 organization that supports figure skating, ice skating, and hockey and has been a part of the community for almost 50 years. This December 4th – 6th they will bring Ava’s One Wish to the ice once again! 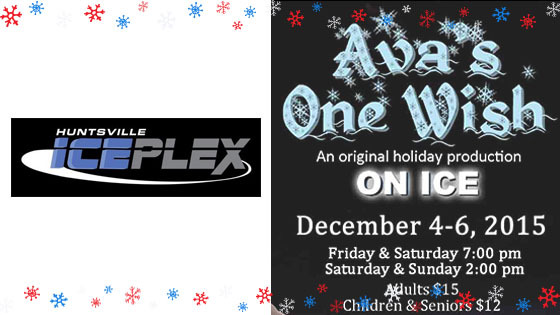 The Huntsville Iceplex will also host a Learn to Ice Skate Camp December 21st- 23rd. Ticket Prices: Ava’s One Wish $15 for adults, $12 for Seniors and Children. The 3-day Learn to Ice Skate Camp costs $75. Click here for ticket information. 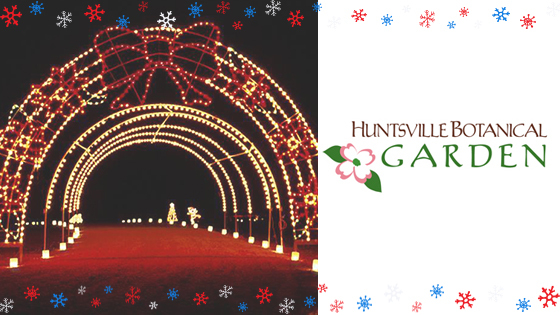 Huntsville Botanical Garden’s Galaxy of Lights has become a Huntsville tradition! This holiday light extravaganza features larger-than-life animated light displays, Santa soaring over a delightful winter village, nursery rhyme characters dance and frolic among traditional scenes of the season, and a twinkling icicle forest. Experience the wonder by foot on one of the garden’s specified walking nights, or take a drive through the garden. Galaxy of Lights continues through January 2nd. Ticket Prices: Prices vary so click here for details. The Huntsville Symphony Orchestra (HSO) has long been considered the region’s premier performing arts group, the Huntsville Symphony Orchestra has set the standard in North Alabama for artistic quality, community support and service through education. 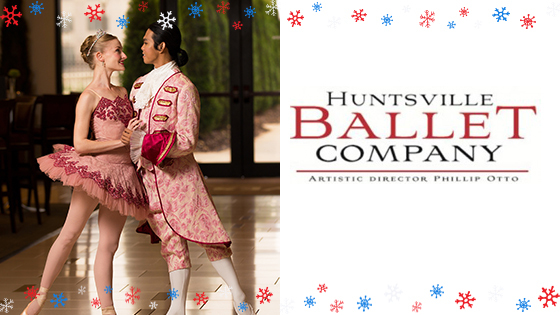 The Huntsville Ballet Company is keeping the annual tradition alive with its 47th annual production of The Nutcracker, a holiday classic and a favorite tradition in Huntsville! 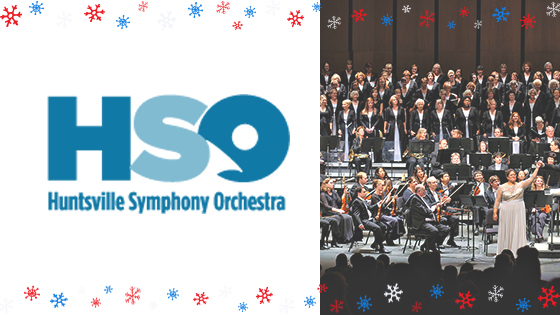 Make holiday memories with this production set in antebellum Huntsville with a nod to local legends and traditions set to the delightful and familiar score by Tchaikovsky performed by the Huntsville Symphony Orchestra. The Arts Council, Inc., in partnership with Twickenham Square Venture LLC, Huntsville Housing Authority and The City of Huntsville, invites the community to celebrate the dedication of the public art installation “We Gather Here to Honor.” This site-specific public art commission honors the contributions of Dr. William Hooper Councill and Dr. Sonnie Hereford III to education in Huntsville, memorializes the history of African American education in the area and celebrates the community’s future educational hopes and aspirations. 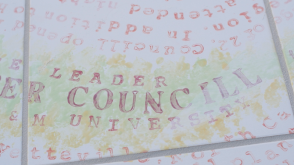 The installation features a tile bench in the shape of a sunflower, with flower petals created from the footprints of Dr. Hereford III, his family, city leaders and community members. The artist used footprints to incorporate community involvement and symbolize leaving one’s mark on the future. There is a tree planted in the middle of the sunflower, providing an opportunity to gather and socialize as people have in the neighborhood for generations. A closer look at the top of the bench petals reveal details honoring Drs. Councill and Hereford III. In the 1860’s, Dr. Councill was a pioneer in education for African American students in Huntsville and served as the first principal of The State Colored Normal School which trained African American teachers and grew into Alabama A & M University. In 1963, Dr. Hereford made more education history on the day he enrolled his son, Sonnie the IV in Fifth Avenue School as the first African American student to attend a white public school in Alabama. The dedication will be held at Twickenham Square on Pelham Avenue between Gallatin Street and Dorothy Ford Lane on Friday, October 23rd at 10:00am. A Community Celebration will be held at the same location on Saturday, October 24th from 9:00am – 11:00am. The event is free and open to the public, and will feature music performances by local saxophonist Reginald Jackson and performers from Valley Conservatory of Music. The Boys and Girls Club, Huntsville/Madison County Public Library, Earlyworks Family of Museums, Fantasy Playhouse Children’s Theatre and Academy and the Arts Council will be on-site with children’s activities, information and interactive experiences. Attendees will also have the opportunity to leave fingerprints on their own sunflower through a hands-on art project that mirrors the aesthetics and significance of the public art installation. Angelica Pozo has a resume that includes community-involved artwork in Cleveland, Ohio and Baltimore, Maryland. She has taught ceramics and sculpture in Maine, Michigan, North Carolina, Pennsylvania and Tennessee, and has served as the visiting artist/artist in residence at universities and conferences across the United States and in Chile. She attended Moore College of Art in Philadelphia before going on to receive her Bachelors of Fine Arts from the New York State College of Ceramics and her Masters of Fine Arts, Ceramics, from the University of Michigan. Please join us at the celebration! The Arts Council, in partnership with the City of Huntsville’s Department of Parks and Recreation, is proud to announce the 2015 season for Concerts in the Park. The Concerts, which will be held for ten weeks every Monday evening, begin June 1 and conclude August 3. The series will showcase a mix of musical genres from rock and roll, Latin, pop and top 40 to swing, bluegrass, Celtic and jazz. The Concerts will take place in downtown Huntsville on the Huntsville Museum of Art outdoor stage in Big Spring International Park from 6:30 – 8:00 p.m. The series is free to the public; concertgoers should bring their own seating. Leashed pets are welcome. Concertgoers will have a variety of dinner choices available as The Arts Council and the City of Huntsville will host local food trucks at the weekly Concerts. Offerings will include a variety of items from stuffed potatoes and seafood dinners to salads, specialty popcorn, teas, desserts and more. This year’s participating vendors include Cottage Crepes, Dale’s BBQ, Iceworks, I Love Bacon, MaggieMoo’s, Piper & Leaf, Rollin’ Lobstah, Shea’s Express, Tim’s Cajun Kitchen and What’s Popp’N. The Monday, June 22 Concert is part of Huntsville’s Armed Forces Week celebrations, and The Arts Council and City of Huntsville are proud to present Redstone Arsenal’s own Army Materiel Command Bands. The evening will end with a downtown fireworks display. For more information on the 2015 Concerts in the Park series, click here. The 33rd Panoply Arts Festival opens this Friday! Here’s information about everything from the Art Marketplace to volunteering at the event. Just use the quick links below to explore the Southeast’s premier arts weekend! Today at the Huntsville/Madison County Convention & Visitor’s Bureau, Arts Council board, volunteers and staff celebrated the kickoff of Panoply ticket sales and shared highlights of the upcoming festival. Panoply will return to Big Spring Park April 24, 25 and 26. One key tradition of the festival is the commissioning of a piece of original artwork to serve as the poster for the event. For the 2015 festival, Arts Council leadership chose local mixed media artist Gina Percifull to create a design to represent the 33rd Panoply. Ms. Percifull is an established artist based out of Maysville, Alabama who has a devoted following of collectors throughout the Southeast. Her work spans several mediums, with a focus on assemblage, collage and using recycled and reclaimed materials, but the Panoply artwork is a painting in her signature style. Titled Phantom Deer Joins the Show, the work will also be featured in graphic form on the festival t-shirts, something The Arts Council hasn’t done in ten years. Presented by TOYOTA Motor Manufacturing of Alabama, the juried Art Marketplace at Panoply is one of the most popular features of the festival. Showcasing 85 fine artists from 11 states, the Marketplace provides prime shopping in a beautiful setting over the Monroe Street bridge. Local art enthusiasts can take advantage of the festival’s First Dibs program, giving ticket buyers the opportunity to shop the marketplace before the general public arrives. First Dibs tickets can be purchased by clicking here or by calling (256) 519-2787. To learn more about the Art Marketplace, click here.